Universal Robots showcased their products at AeroDef India 2018. The expo was held at the Bombay Convention and Exhibition Centre, Goregaon, Mumbai, from February 22-24, 2018. 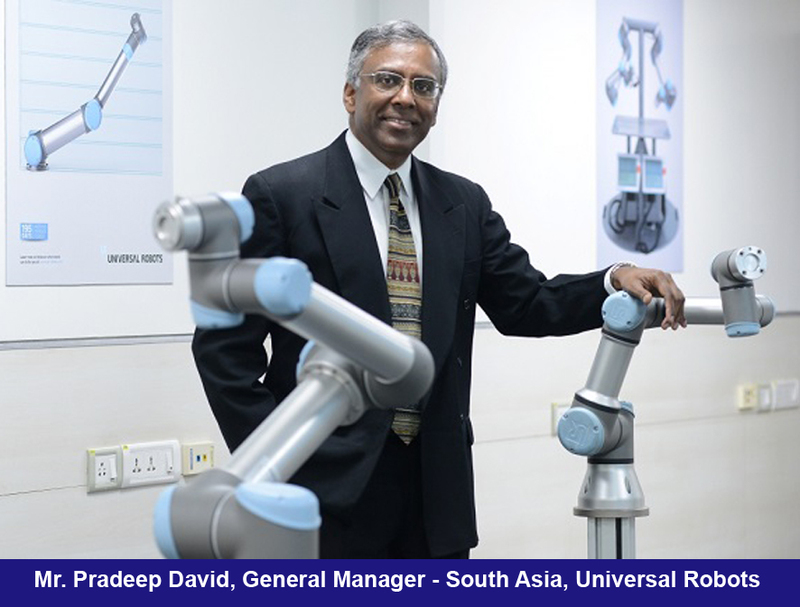 Universal Robots are the leading manufacturers of advanced user-friendly and light industrial robotic arms from Denmark. Their latest technological advancement is collaborative robots or ‘Cobots’ were introduced to the international market with a unique intention, which is in line with Industry 4.0. They have a wide market in the US, Europe and have now expanded operations in India and the South Asian region. AeroDef India provides an exclusive platform for Indian and International Aerospace and Defence manufacturers to source raw materials, components, sub-assemblies and finished products and sub-contract essential manufacturing processes like forging, machining, moulding, material development, etc., to Indian MSMEs. The event also provides a platfrom for MSMEs to showcase their capabilities and prowess to OEMs. The expo will provide an opportunity to strategically plan vendor development programs that will facilitate interaction and business relationships between exhibitors and buyers looking for integrated solutions. With well-established names like NASA, BOEING and AIRBUS, Universal Robots hopes to now reach out to various aerospace and defence component manufacturers.